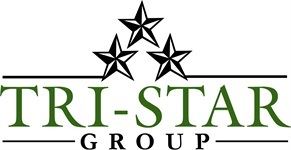 Tri-Star Advisors: Bill Payne is the president and co-owner of Tri-Star Advisors, Inc. a registered investment adviser in the state of Texas. Jon Vaughan is a co-owner. Jonathan Swanburg and Thomas Payne are investment adviser representatives. Kelly Durham is the Chief Compliance Officer. Calton & Associates, Inc : Calton & Associates, Inc. ("Calton") is a broker-dealer based in Tampa, FL with registered representatives located across the United States. The firm's focus on independence is a key reason why Tri-Star is affiliiated with Calton for Tri-Star's broker-dealer services. Hilltop Securities: Hilltop Securities ("HTS") is a clearing broker-dealer firm located in Dallas, TX. HTS acts as the clearing firm for Calton & Associates; Tri-Star Advisors' brokerage clients will periodically receive correspondence including, but not limited to, statements and confirms with either the Calton or HTS logo.